cheap viagra 100mg worldwide shipping drugstore The thing about great ideas is that they tend to keep getting greater. And that is exactly what happened with a thrift store started by the Environmental Club at Patrick Henry High School. generic viagra without a doctor prescription The Environmental Club’s store encouraged the recycling of clothes, and students and staff donated to it regularly. So much heart, in fact, that the thrift store caught the attention of the school’s Interact Club, a student-based group of the La Mesa Rotary Club whose purpose is to make sure every student has what he or she needs to get through high school. “People started asking, ‘Hey, do you have any warm jackets? We have kids that need warm jackets.’ And [the store] got a little bigger and it had more of a purpose than just recycling clothing,” Dickens said. The Interact Club already had a small office where it kept clothes and supplies for students in need. The club’s advisor, Dawn Marino, suggested the two ideas merge and put the thrift store there. 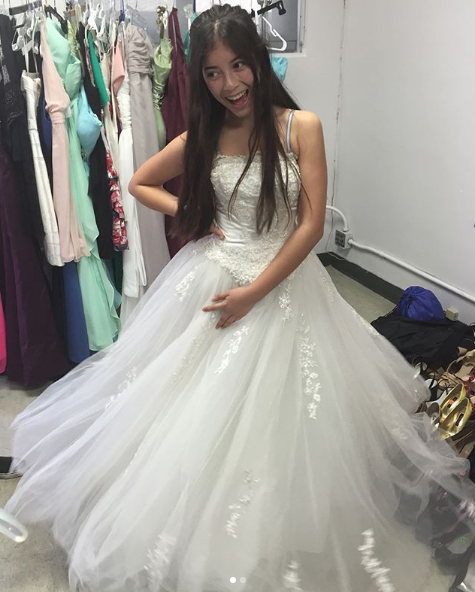 With added space and an added mission, the thrift store began expanding its inventory to include hygiene products, prom dresses, formal wear, clothes for interviews, shoes for P.E. class and more. One of those parents was Kim Priebe, who shared news of the Environmental Club thrift store and the Interact Club’s need for supplies for Patrick Henry students on the local social media site Nextdoor. Soon that simple request for extra jackets and sweaters, became a “tsunami” of donated items. A few days later, the couponer had a box of toiletries, makeup and other items to donate. Boxes of donated items were delivered last November, which turned out to be fortunate timing. To make sure the students with the greatest need got first picks, the school front office prioritizes them. All donated items, no matter what shape or original cost, are sold for a dollar. And for students who qualify, the items are given at no cost. Even as the weather warms, the thrift store remains a popular place for students to browse and buy items. And there are still plenty of items left from the November donations. 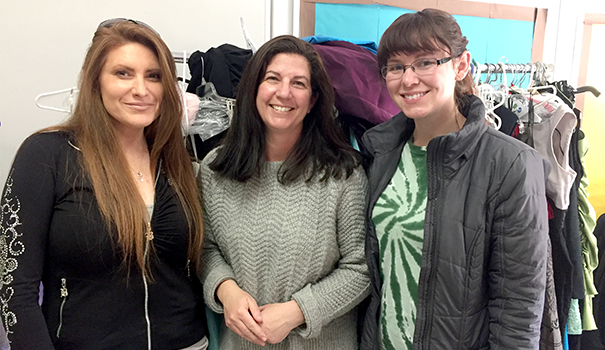 Right now, Dickens said, the thrift store is not accepting any more donations of clothing until the inventory gets down to something more manageable, but there are still ways to help. And, she said, the store needs hangars. 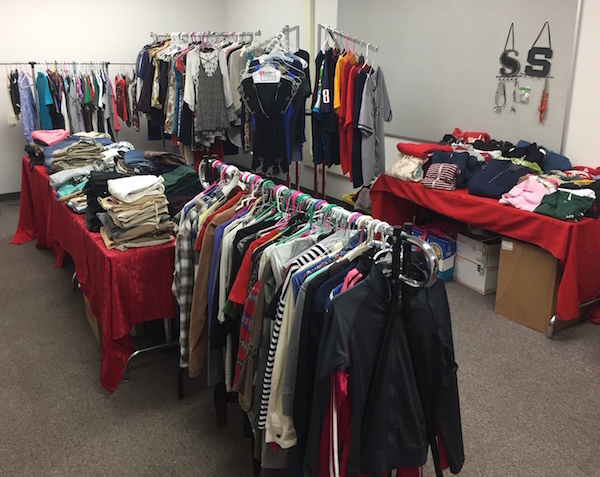 Despite the pause in clothing donations, the thrift store is still growing. Some of the ways the program might expand is to include special education students learning “real world math” by helping process deposit slips and organize shelves; a thrift store fashion show with help from the school fashion club; and expanding the store to include changing rooms. No matter what new projects or programs are attached or added to the thrift store in the future, it will be the students who manage them.